Zoyzi - Live at ADE Modern Agenda Amsterdam Showcase 2018. Zoyzi - Live at Club NL, Amsterdam 10.11.18. ￼Zoyzi was born in 1985, back in her native Hungary. It’s been a couple of years now since she decided to step out of the bedroom, and into local venues and emerging festivals around Europe. A DJ in every sense of the word, her sets are built around a ‘Progressive House’ sound, but just a listen, and you’ll see she’s no stranger to deeper and the more tech cuts. A highly personal and distinct sound that she has taken across radio stations and dancefloors to set souls alight, in hopes of becoming a mainstay in the club & festival scene, and producing her own material, Zoyzi is rapidly becoming a rising artist in her own right. 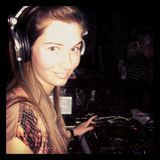 An artist that aims to be recognized as a true talent, not just another female DJ.